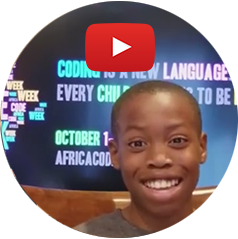 "A-C-W: this is Africa Code Week!" Oh what a joy it is for us to release Armantchatcha's latest masterpiece, featuring talented young coders and, let's face it, Togo's very best dancers! 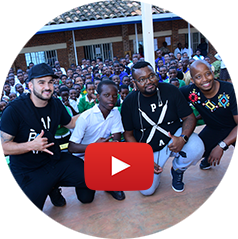 Thank you @Armantchatcha1 for the way you turn #AfricaCodeWeek into a giant party for the youth of your country. 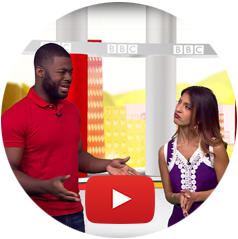 BBC Africa decided to investigate by attending the #AfricaCodeWeek live coding workshops organized in October 2018 at Yaba Tech Secondary School, Nigeria. Learning new coding AND dance moves all at once! For the fourth year, Kids Comp Camp took part in Africa Code Week, empowering more than 500 students aged 8 to 18 across 4 counties in Kenya, from North Rift and Samburu all the way to South Eastern Machakos. Gauteng, October 19, 2018: South African Deputy Minister of Communications Pinky Kekana joined teachers and students in Hammanskraal, Ntswane, to launch Africa Code Week and unveil a state-of-the-art Computer Lab. "It is our responsibility as South African Government to assist you. We only need your time...to #study. Leave the other things for now. We are here to say: Guys, it can happen, and it will always happen for as long as determined, focused and willing to contribute towards a better future." 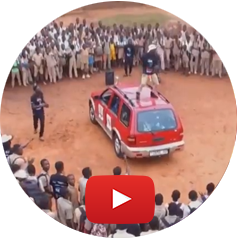 #AfricaCodeWeek Continental Anthem by ArmanTchatcha I! 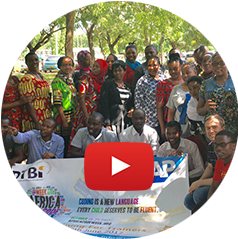 When the Africa Code Week delegation arrived in Togo for the launch of the Train-the-Trainer sessions on September 30, 2017, ArmanTchatcha I had a surprise for them. It is now all yours to enjoy! A Word from our Youngest Ambassador! "If you like to solve problems, you obviously know how to code. It doesn't matter who you are, your race, gender or age, because everyone was naturally born with a logical and creative brains. I am talking about young girls too: everyone just need to be persistent: never give up on your coding class!" 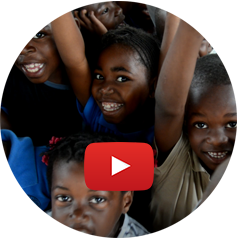 This TV newscast (in Swahili - starting at 10 mins 50 sec) focuses on the first cohort of #AfricaCodeWeek 2017 teachers to be trained in Tanzania. Instructed by Volunteers from SAP and the Galway Education Centre, our new graduates already look forward to guiding their pupils into becoming the skilled gardeners of their own dreams and bright future. And quite literally...a tree was planted to celebrate the first TTT of a new amazing year of continent-wide coding fun! Thank You everyone for your smiles, commitment and talents! 18 months and a continent-wide buzz later, Africa Code Week returns to South Africa - where it was first launched in June 2015. 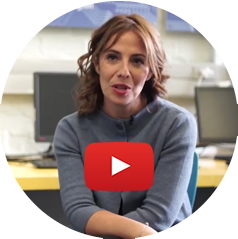 Hear what co-founder Claire Gillissen-Duval as well as Cape Town teachers and students have to say about this historic intiative. At the Cape Town Science Centre, kids decided it was time to grab data with bare hands. YOTV and SABC 1 went on site to find out more about this tasty workshop. 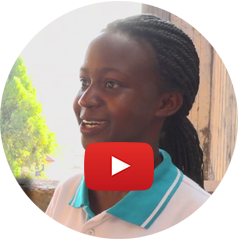 Jovia and Calvin, students from Makerere University and Young Ambassadors for ACW in Uganda, are spreading digital literacy across the country, encouraging youth - and girls in particular - to consider ICT as a career. 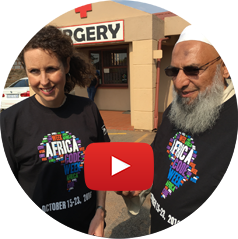 Oct 20, 2016 - Alicia Lenze, Head of Global CSR at SAP, visited the Siyafunda CTC in Palmridge with founder Ahmed Ismael, aka 'Smiley'. Alicia took this opportunity to thank him and all Siyafunda teachers and volunteers on behalf of SAP and Africa Code Week, shedding light on the tremendous work achieved in these community centres. "Siyafunda has been on board since day one and Smiley's support has been absolutely pivotal in scaling the impact of Africa Code Week in South Africa, facilitating technology skills and training for rural, disadvantaged communities all over the country." Siyabonga Siyafunda! 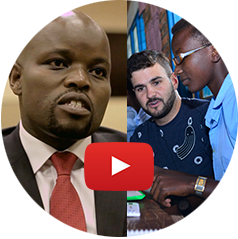 Amazing video starring Pedro Guerreiro (General Director, Lusophone Africa at SAP), Joaquim Cabral (Cabinet of the Minister of Education) and SAP Master Instructors. Huge thanks to our Lead Ambassador in Angola, Fleur-Eve Le Foll, her Cod Cod Codet & ACW Angola #dreamteam and the Dom Bosco School. Photo/video credit: Anne-Laure Seret. Africa Code Week in Luanda, Angola, October 2016: when asked what they thought of the Scratch coding lesson they just attended, children nailed it in 3 words. Short, sweet and unforgettable. 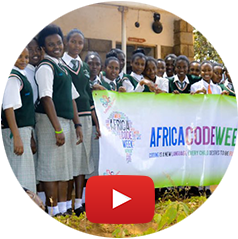 Africa Code Week 2016: Mi Casa Unlocks Rwanda! You know their groove on stage...now get ready to meet Mi Casa band members as ACW Coding Instructors! Follow J'Something, Dr Duda and MoT as they join a team of SAP Volunteers to teach coding to hundreds of teachers and pupils across Rwanda. Bigger, better, bolder: the 2nd edition of Africa Code Week was officially launched in Kigali during the World Economic Forum for Africa. See how SAP Volunteers teamed up with Mi Casa and President of SAP Industry Cloud Pat Bakey to share their passion for coding...and music...with the young generation! 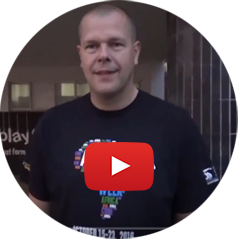 "Thank You Africa Code Week!" 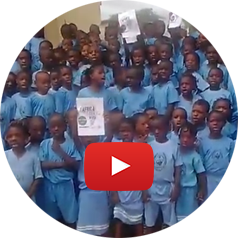 Irresistible video of pupils gathered at the Mary Slessor Primary School in Enugu to celebrate what they've learnt during Africa Code Week: coding skills that will enable them to spread their wings in the digital century. Bigger, better, bolder! 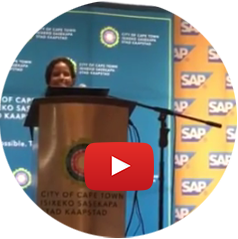 Councillor Xanthea Limberg (Member of Mayoral Committee for Corporate Services and Compliance, City of Cape Town) announces the upcoming launch of Africa Code Week 2016 across 30 countries. Countdown is on! 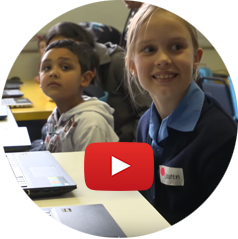 In July 2016, the SAP Business One team flew from all corners of the world all the way to Cape Town in order to lead Africa Code Week coding workshops - where 720 children and 420 teachers were trained under just 3 days. This 30-minute documentary relates their amazing journey. "Unity is dependent on knowledge and education." Mi Casa's J'Something & Hon. Jean Philbert Nsengimana, Rwandan Minister of Youth & ICT, tell us what Africa Code Week means to them. On April 2 & April 17, 2016, Africa Code Week, kLab and Refugee Girls Need You hit the road with RDB buses to train 187 teenager refugee girls and 30 teachers on Scratch at the Kigeme and Gihembe refugee camps. More pictures available here. 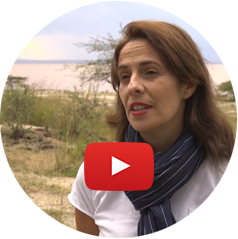 Introducing coding to thousands of young Africans across 17 countries: here is a sneak peek into the first ediction of Africa Code Week, including exclusive interviews with ACW Co-founder Claire Gillissen-Duval and Master Instructor Brendan Smith. Welcome to the Sopokhama Primary School where a team of SAP and Cape Town Science Centre Volunteers gave children a taste of what coding looks and feels like with Scratch. 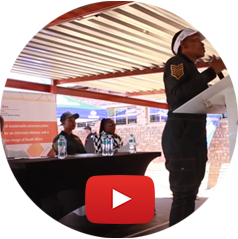 Last but not least: meet Esihle Yokwana, a bright young lady who became, a few months after she was interviewed in this video, the first recipient of the Africa Code Week Youth Ambassadors Award! 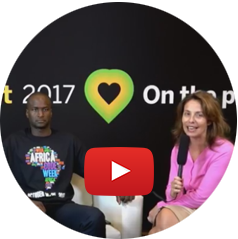 Africa Code Week on TV: Movers and Shakers Interview! 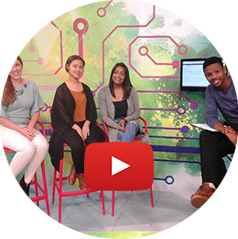 In this TV interview aired on SABC 2's Hectic Nine 9 back in October 2015, Emma (ACW Ambassador in South Africa), Tazmane and Kiara tell Sam Mangesi all about the Africa Code Week buzz building up in South Africa....and why more and more girls are pursuing coding as a passion and career. Ghanean Girls Get Up to Speed with Coding! In 2015, STEMbees and the Meltwater Entrepreneurial School of Technology (MEST) joined forces to mentor and train 30 girls aged 11 to 14 years at St Mary’s Girls Basic School in Korle Gonno. Using Google CS First training materials, girls learnt to create their own animated stories and completed the High Sea exercise with the Scratch programming language. When coding meets soccer, what you get is twice the fun. 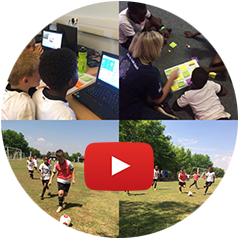 SAP Kick and Code is a soccer camp where children aged 8 to 15 rotate from the soccer pitch to the computer lab. Professional soccer coaches and IT experts coach children in new soccer techniques and how to build their own computer apps. Goal! 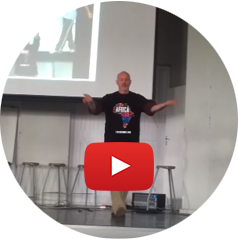 See what lengths a 45-year-old computer geek will go to encourage South African pupils to learn coding during Africa Code Week 2015. Nice moves, Derek Breen! Definitely fit for break (the code) dancing! 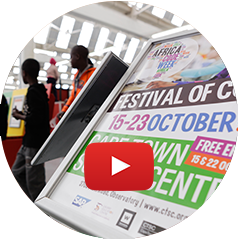 Meet Kevin Conroy's team of SAP Skilled Volunteers as they travel to South Africa to meet teachers and children at the Cape Town Science Centre in June 2015. Follow their journey as they lead the very first ACW coding workshops and attend the official launch of the initiative during the World Economic Forum for Africa in Cape Town. 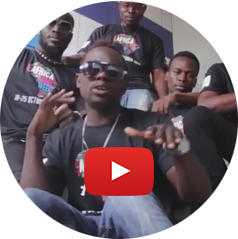 Africa Code Week: Celebrity Coding Challenge!